Jane Johnson joined the DSQ team on 27th February 2017, bringing a wealth of experience to our drafting and GIS team. 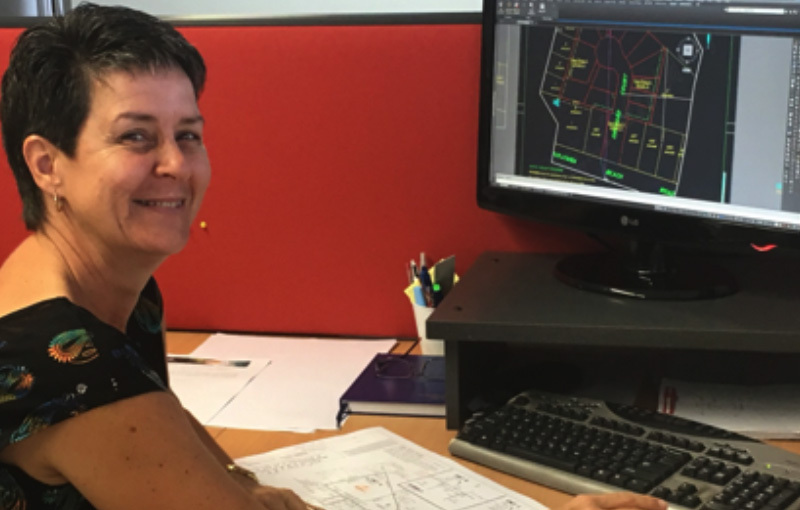 Jane has over 30 years’ experience in the drafting of cadastral and engineering survey plans. Apparently she can even recall the days before CAD, when drafters used Rotring pens and drawing tables…! We extend a warm welcome to Jane!